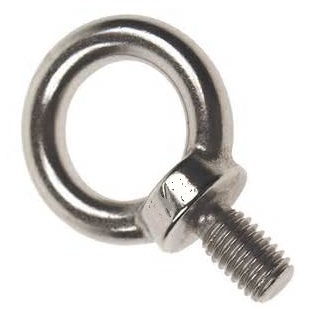 PRODUCT: #DIN012 12MM FORGED-STEEL METRIC DIN 580 SHOULDER EYE BOLT, A = 12mm Shank Diameter, C = 21mm" Shank Length, D = 30mm I.D., 340 Kg. Capacity. Price/50.